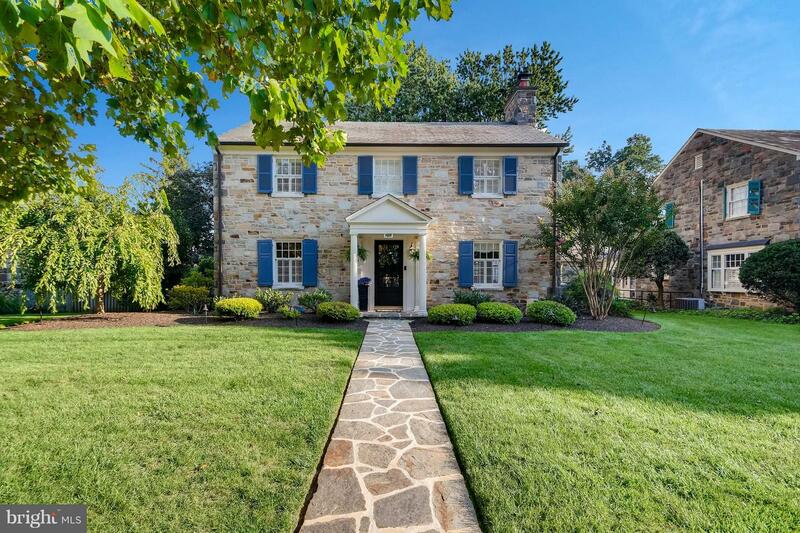 Beautifully appointed, classic stone colonial with four bedrooms, two full and two half baths, completely updated, with two car garage in coveted Homeland! Features include gorgeous wood floors, custom built ins & plantation shutters throughout. Great kitchen with granite counters open to rear sunroom. Updated baths, new HVAC, new gutters, new stone patio and great fenced landscaped yard!